Escola Livre de Dança da Maré is a dance school located in favela da Maré, a complex of 16 poor neighbourhoods in the municipality of Rio de Janeiro. The school offers free dance classes to young people in the favela, combining artistic and socio-pedagogical actions with dance. 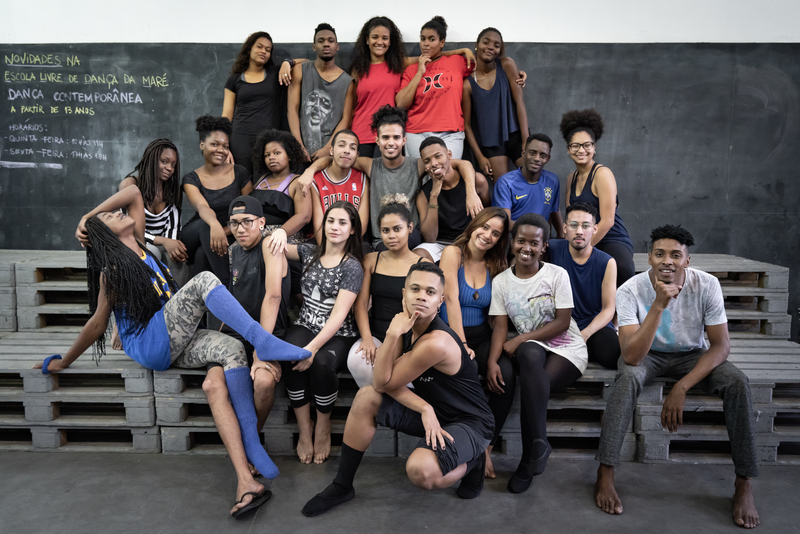 Founded in 2011, by dancer and Prince Claus Laureate Lia Rodrigues in a partnership with the NGO Redes de Desenvolvimento da Maré, the ELDM’s mission is to open up access to art and culture, and especially to dance to all Maré’s residents and also to people from other neighbourhoods. It offers regular dance classes in different styles, as well as technical and professional training in contemporary dance. "Dance is an instrument of ethical and creative intervention in the social field that promotes dialogue and encounter, and encourages social connection, stimulating a critical and transformative view of the world. The ELDM believes in the synergy between art and social process." The ELDM’s programme as part of the NextGen Partnership will focus on the students enrolled in the school’s professional dance training. This educational programme will be expanded to include classes in music and languages as well as cultural excursions and discussions. Talented younger members of the school will be trained towards leadership positions. The programme will open up opportunities for the youth to tell their stories through dance, discuss and learn about topics of interest to them, including issues related to violent extremism and gender identity, and open up their horizons beyond the borders of the favela.